Lindsey White, a mother of an 8-year-old with autism, says her son can finally play with his big sister without having to worry about getting hurt. "Normally when we go to the park, it's kind of difficult for us," says White. "Now that this park is built, everything is all accessible for him and the two of them can play together." Lori Harris, executive director of HOPE Park: "It creates friendships. It gives them the chance to see that these other children are just human too. They're just like them, they just have a disability." Kathy Scott of Resurgens Charitable Foundation said the new park supports the foundation’s mission to support active lifestyles for people of all ages and all abilities. “This playground does exactly that. It provides the opportunities for children and adults with special needs the ability to play alongside their family and friends,” said Scott. 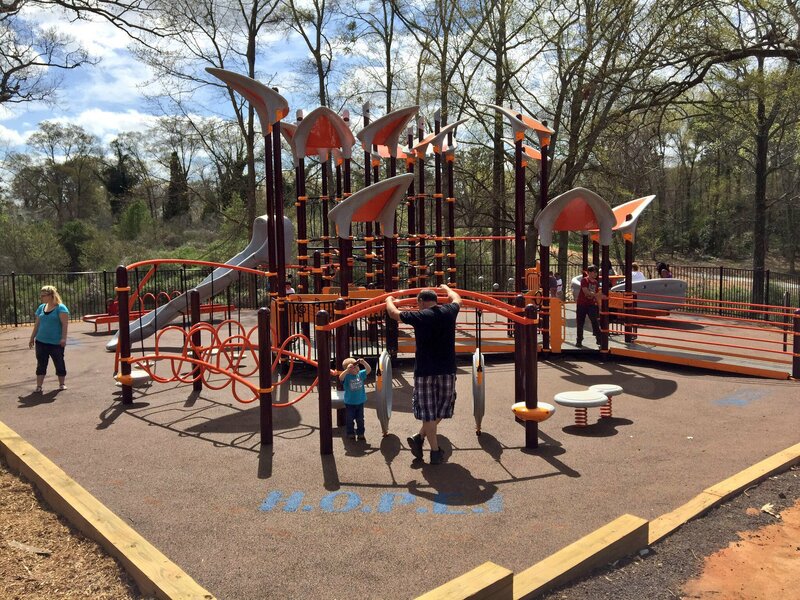 The McDonough playground is the 30th “all abilities” playground funded by Resurgens Charitable Foundation in the metro area since its inception in 2001. All-abilities playgrounds include special playscapes and structures where all children, regardless of their abilities, can play together.